Ireland have impressed at the tournament and still have a very, very slim chance of getting through the groups but face a passionate Wales outfit. Wales were pumped 72-6 by Fiji last weekend and were unfortunate with injuries to their key players ahead of the World Cup coming around. They also lost 50-6 to Papua New Guinea in Port Moresby in the opening game and will be disappointed that they haven’t done better in the tournament, having already been eliminated. The Dragons have scored just 12 points in their first two games and have conceded a whopping 112 points, only Scotland have a worse points difference. Meanwhile, Ireland will be pleased with how their World Cup campaign has gone so far, losing narrowly to Papua New Guinea and beating Italy. They still have a very, very slim chance of getting through the groups. The Wolfhounds would need Papua New Guinea to lose to USA in Port Moresby, which is highly unlikely, and they would need to beat Wales by 36 points or more. John Kear’s Wales will be determined to put in a strong performance on Sunday but Ireland will be looking to end the group stage with two wins from three games. There will be a couple of one-to-one battles all over the park but the one between Wales vice-captain Phil Joseph and Ireland ace Anthony Mullally is appetising. Joseph will play his last game on Sunday before retiring on Sunday and has a big frame and makes a lot of valuable metres for his side going forward. 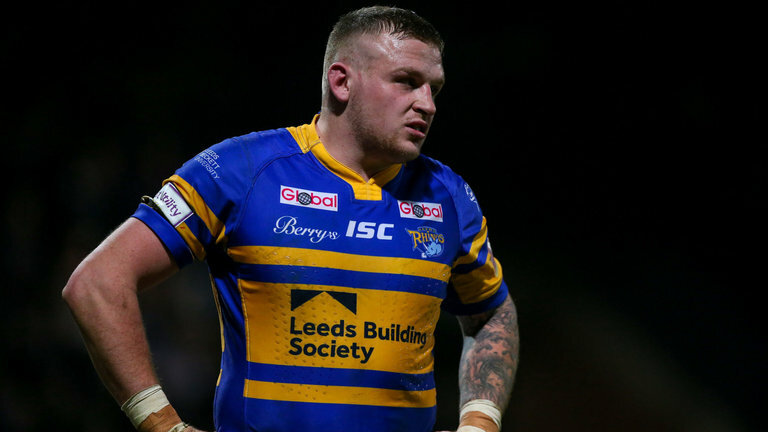 Mullally is considered to be one of the most underrated forwards in the Betfred Super League and was part of Leeds Rhinos’ Grand Final winning side last season. He is a workhorse and is not afraid to do the dirty work in defence. The Dragons have a couple of talented individuals in their team and Rhodri Lloyd is the one to watch on Sunday. The Swinton Lions star can play in the back-row or at centre and is a very athletic player. He works hard in defence and produces a couple of great offloads in every game he plays. Joe Keyes will make his first appearance in the tournament for Ireland but is tipped by many to become a star of the game in the next couple of years. The 22-year-old can control a game very well and his short kicking game is second to none. WALES: 1. Elliot Kear, 2. Rhys Williams, 3. Michael Channing, 4. Christiaan Roets, 5. Regan Grace, 6. Courtney Davies, 7. Danny Ansell, 8. Craig Kopczak (C), 9. Steve Parry, 10. Phil Joseph, 11. Rhodri Lloyd, 12. Joe Burke, 13. Morgan Knowles. Subs: 14. Matty Fozard, 15. Matthew Barron, 16. Ben Evans, 17. Dalton Grant. Reserves: 18. Josh Ralph, 19. Ben Morris, 20. Gavin Bennion, 21. Andrew Gay. IRELAND: 1. Scott Grix, 2. Shannon McDonnell, 3. Ed Chamberlain, 4. Api Pewhairangi, 5. Liam Kay, 6. Joe Keyes, 7. Liam Finn, 8. Anthony Mullally, 9. Micky McIlorum, 10. Kyle Amor, 11. Louie McCarthy-Scarsbrook, 12. Will Hope, 13. Brad Singleton. Subs: 14. George King, 15. Matty Hadden, 16. Joe Philbin, 17. Oliver Roberts. Reserves: 18. James Hasson, 19. Tyrone McCarthy, 20. Casey Dunne, 21. Jack Higginson. Referee – Ben Thaler, Touch Judges – Dave Munro & Scott Mikalauskas, Video Referee – Robert Hicks. Ireland are the favourites for this one because they have had such a brilliant campaign. They have a squad full of Super League players while Wales have been unlucky with injuries this year. Loverugbyleague.com predicts Ireland by 22 points. You can watch the game LIVE on Premier Sports at 5am on Sunday 12 November. How do you see the game going? Who will win? Let us know in the comments below.